The owners of Harrisons & Crosfield Teas decided to create a company in the tradition of the Classic English Tea Merchants. A role model and namesake was found in an internationally known and respected firm from the 1800 & 1900’s - Harrisons and Crosfield Ltd. A company was incorporated 6 years ago in England to follow in the tradition of the original firm. Today’s H&C’s mission is to acquire the highest quality teas and natural flavourings to provide the broadest packaged product line in the industry. This means having our London tea buyers with many years experience select the teas and carefully blend or flavour them in the British tradition. The teas are then shipped in bulk to the U.S. to utilize the innovative packaging and production techniques of the U.S. 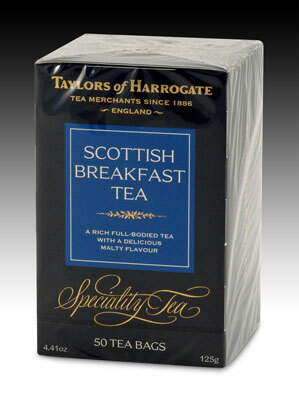 The goal is to have the finest available premium teas packaged in the form a meets the needs of today’s consumer. The Harrison & Crosfield teas brand are no longer available has the company as gone out of business, but the tea that is as just as good a quality par for par is Taylors of Harrogate click here to see the range or click below to select the tea that you are most interested in.